Sterling Charms can be used for charm bracelets, for earrings, or as components in your bracelets or necklaces - I often make bracelets with a charm as its central theme, using the charm as a dangle, adding it near the clasp perhaps along with other bits of crystal or semi precious stones - they make an ordinary bracelet special. 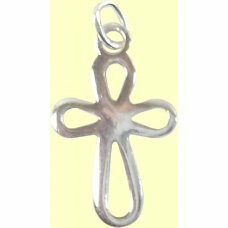 1 Sterling Silver Open Cross, measures approx 20 x 13mm, plus oval hanging ring. Sterling Silver is..
1 Sterling Silver Heart Charm - would also make cute earrings, charm measures approx. 8x6x3 mm, plus..
1 Sterling Silver Multi Heart Charm with hanging loop. Measures approx 10x12x2mm. Marked 925 on bail..
1 Sterling Silver Assymentric Flat Heart Charm with hanging loop. 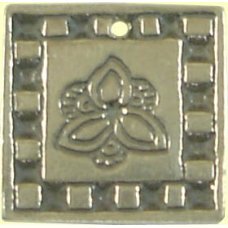 Measures approx 10x11mm. Marked 92..
1 Sterling Silver Heart Charm and hanging loop inscribed with 'Love'. Measures approx 10x11mm. 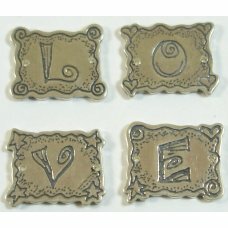 Marke..
1 Sterling Silver Love Script Charm with hanging loop. Measures approx 11x8mm. Marked 925 on reverse..
1 Sterling Silver Assymentric Open Heart Charm with hanging loop. Measures approx 16x18mm. Marked 92..
Sterling Silver Puffed Star Charm/Small Pendant approx 16 x 2.5 x 22mm including bail. Stamped..
1 sterling silver Star Charm with Hanging Ring; measures approx. 8x12x3.5mm inclusive of hanging loo..
1 sterling silver American Eagle Carrying Flag Charm large charm with intricate details. 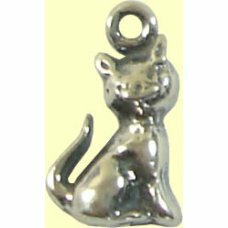 Measures ap..
1 sterling silver Little Teddy Charm; a tiny little charm measuring appprox. 9x5x0.5mm (small!) with..
1 sterling silver Native Indian Chief measures approx 16x9x4mm.Sterling Silver is 92.5% silver, the ..
Sterling Silver Flower in a Box Charm - approx 14x14mm. Sold individually. 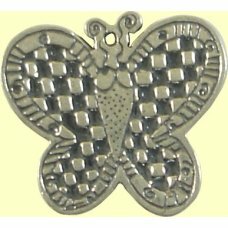 Sterling Silver is 92.5% ..
1 sterling silver Leaf Charm - we love this; detail to one side ideal as earrings or as a small pend..
1 Sterling Silver Check Butterfly Charm - size approx 19x16mm. 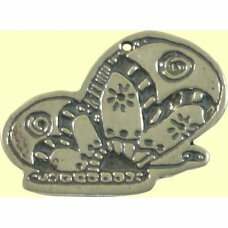 Sterling Silver is 92.5% silver, the ..
1 sterling silver Flying Bird Charm - detail to one side - measures approx. 16 x 14 mm. Square (hidd..
1 sterling silver Heart Charm - would also make cute earrings charm measures approx. 10 x 8 x 3 mm p..
1 Sterling Silver Teeny Tiny Leaf Charm – detail to both sides, the leaf measures approx. 11 x 4.5 m..
1 Dinky sterling silver Open Heart Charm approx 11 x 7mm inclusive of the ring. Stamped 925 on the b..
1 Sterling Silver Teeny Tiny Leaf Charm with Loop – detail to both sides, the leaf measures approx. 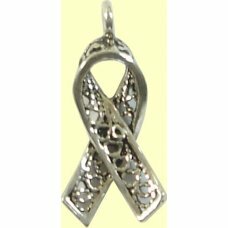 ..
1 sterling silver Awareness Ribbon Charm - measures approx. 20x9x3mm inclusive of the hanging loop. 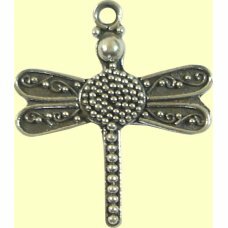 ..
1 sterling silver Bird in a Cage Charm with Hanging Loop Sterling Silver is 92.5% silver, the balanc..
1 sterling silver Dragonfly Pendant/Charm; lovely Bali Sterling Silver piece with detail on one side..
1 sterling silver Five Petalled Flower Charm with Jump Ring - flower measures approx. 15 x 12.5 x 1 ..
1 sterling silver Star Charm with Hanging Ring; measures approx. 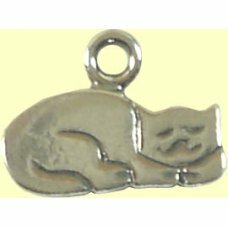 12x10x5mm Sterling Silver is 92.5%..
1 sterling silver Heart Charm patterned one side plain on other measures approx 15x12x1.5mm.Sterling..
1 sterling silver Kitty Cat Charm; a tiny little charm measuring appprox. 11x6.5x1.5mm (small!) with..
1 Tiny sterling silver Heart Charm measures approx 5x7x3mmSterling Silver is 92.5% silver, the balan..
sterling silver 4 LOVE Letters - fantastic! Sold in packs of 4 holes both sides - make a bracelet wi..
1 sterling silver Swan Charm - detail to one side - measures approx. 16.5 x 14.5 mm. Sterling Silver..
1 Sterling Silver Half Butterfly Charm - combine with the other butterflies to make a gathering of b..
1 sterling silver Dolphin Charm - sweet little charm with detail on both sides would also make cute ..
1 sterling silver Snowflake Charm - would also make cute earrings charm measures approx. 13 x 11 x 1..
1 sterling silver Flower Charm Sterling Silver is 92.5% silver, the balance being a mixture of other..
1 sterling silver Here Kitty Cat Charm; detail on both sides of the charm with a loop for stringing ..
1 sterling silver Embossed Heart Charm with raised heart detail on both sides. Measures approx 10x12..